I’ve got a ton of happy moments to be grateful for and share in Nerd in the Brain’s Three Things Thursday this week. I’ll throw in a few extra to (hopefully) make up for being MIA last week. Basically, two very fun weekends! Both wildly different but lots of wonderful memories. 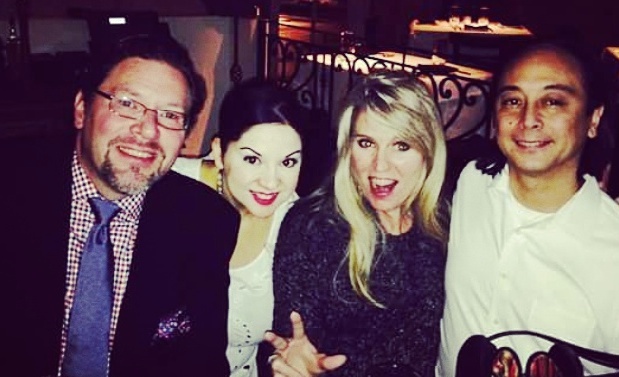 Reunited with my very dear friends, Sharona and Mike! Gracie: a lot of cat to love. 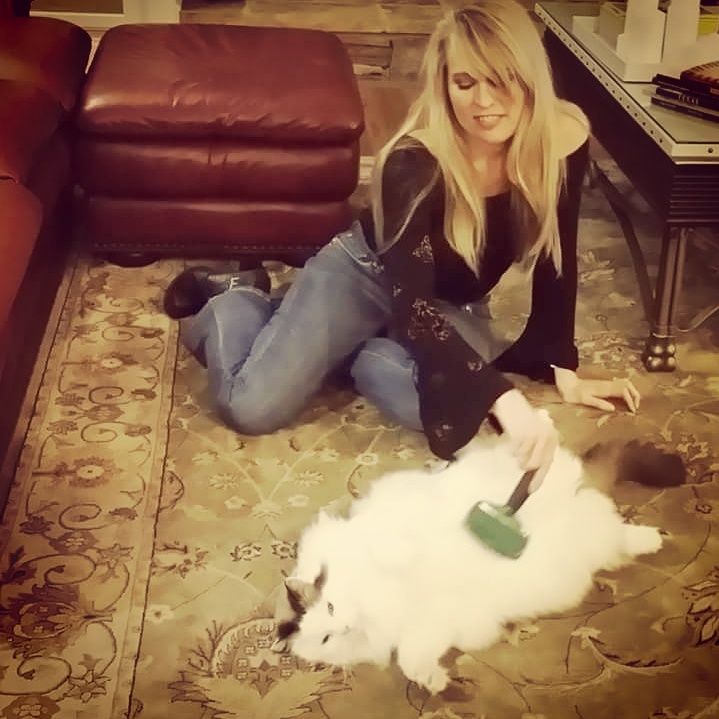 And brush. Saturday, we met up with my parents, who were in town visiting with some good friends of theirs in North Georgia. Besides great company and a wonderful dinner, we were able to hang out with their really fabulous cat, Gracie, who used her advanced powers of feline mind control to bend me to her will. 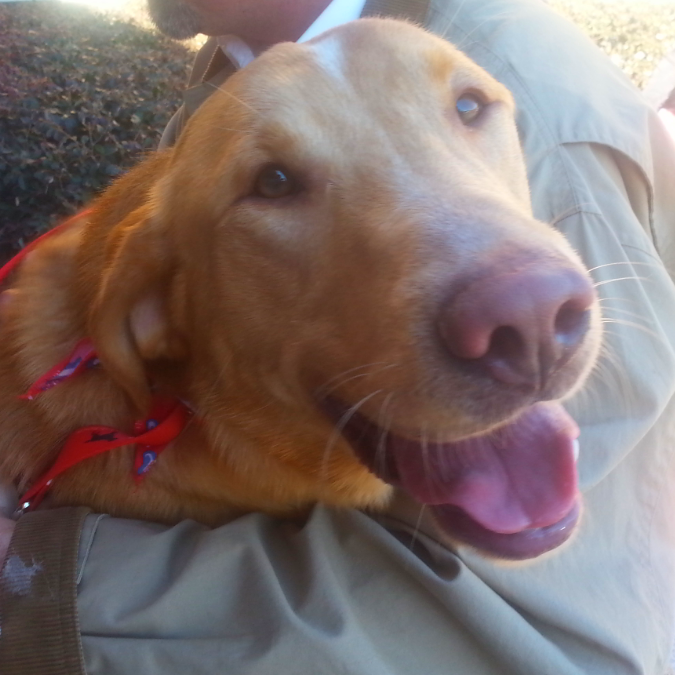 On Sunday, we helped out with Atlanta Lab Rescue’s Adoption Day. One of my very favorites, the incredibly precious and beautiful Jake, found his forever home with a really sweet young couple. Yay, Jake! That’s a whole bunch of happy right there. Continuing the awesome on Friday the 31st, we gathered at the mountain house for our yearly celebration of Burn’s Supper. 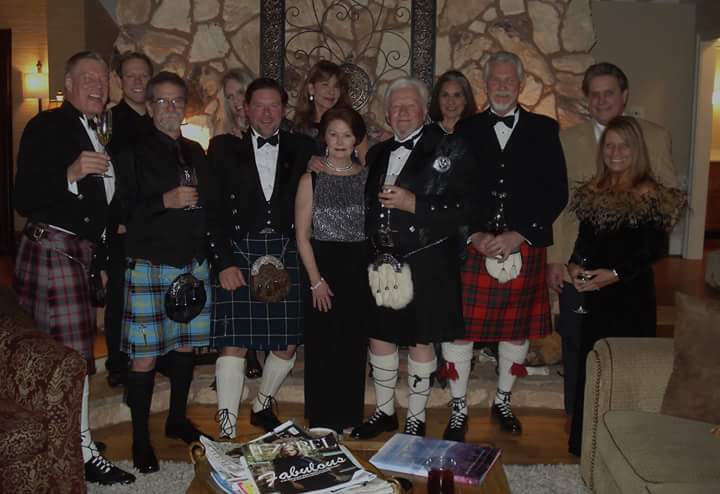 This is David’s and my fifth year to host (our slightly warped version of) the traditional Scottish dinner and it gets bigger (and a little rowdier) each year. 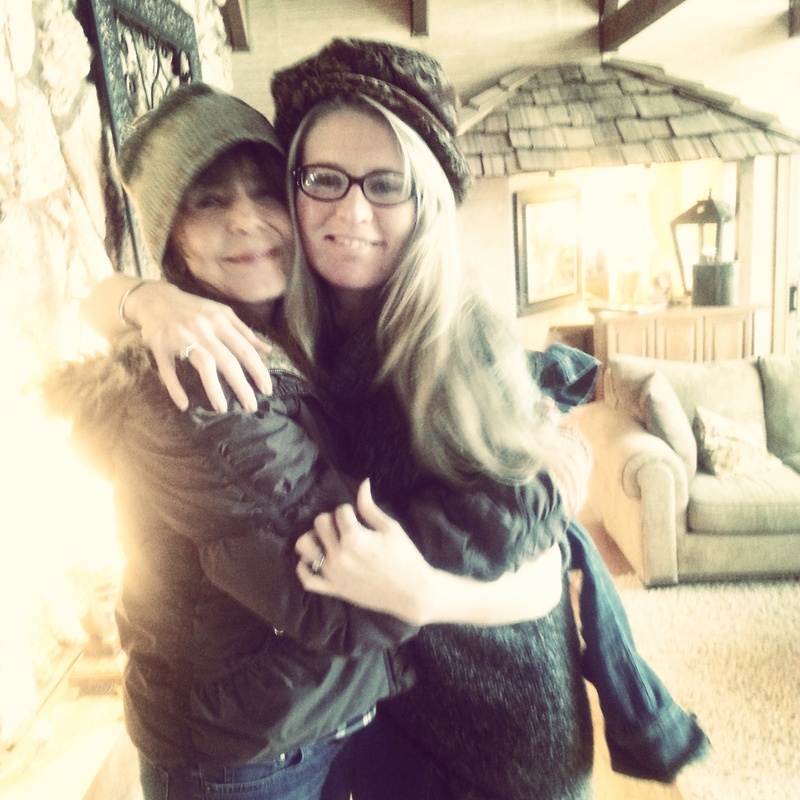 Patti, my little Mommy and me. 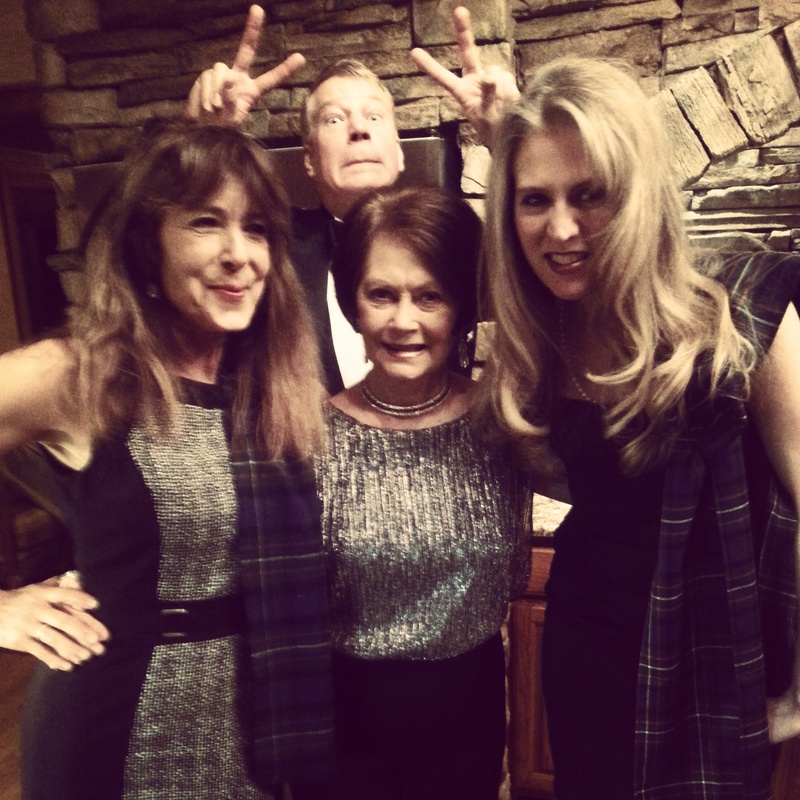 Oh, and a photo bomb from Dana. We had a happily overflowing house with my parents, their friends Mike and Derenda (Gracie-the-cat’s folks), my sister-cousin Patti and her friend David, good friends, Heidi, Hil and Dana, and our bagpiper friend, Sam and his wife, for a soul-restoring weekend of beyond stellar views, company, food, wine and festivity. So, there you have it! My 6 things Thursday, or 3 Things Thursday², as it were. Thank you, Nerd in the Brain, for the chance to remember (and share) my big ol’ bunch of happy! This entry was posted in Blogging challenge, Entertaining, Family, Random Pictures and tagged Atlanta Lab Rescue, Burn's Supper, family, three things thursday. Bookmark the permalink.